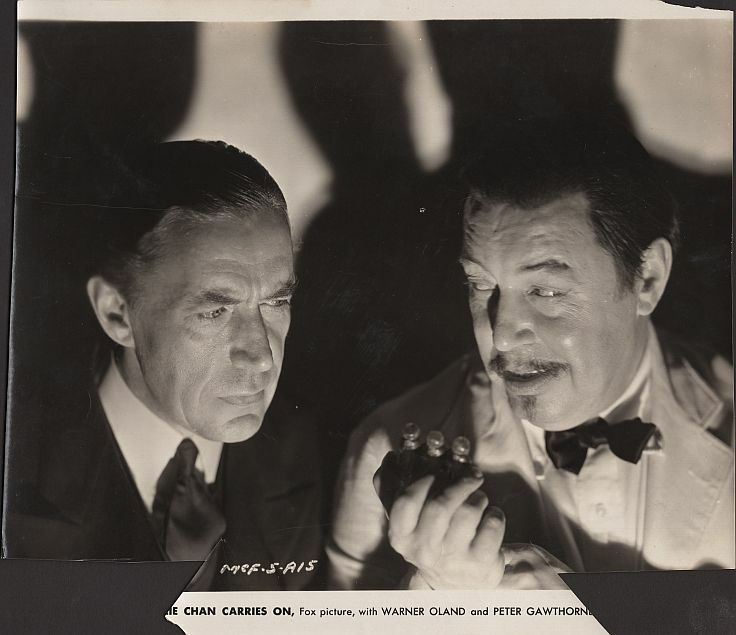 Gallery: "Charlie Chan Carries On"
Charlie Chan, holding the Three Monkeys clue, and Inspector Duff of Scotland Yard. 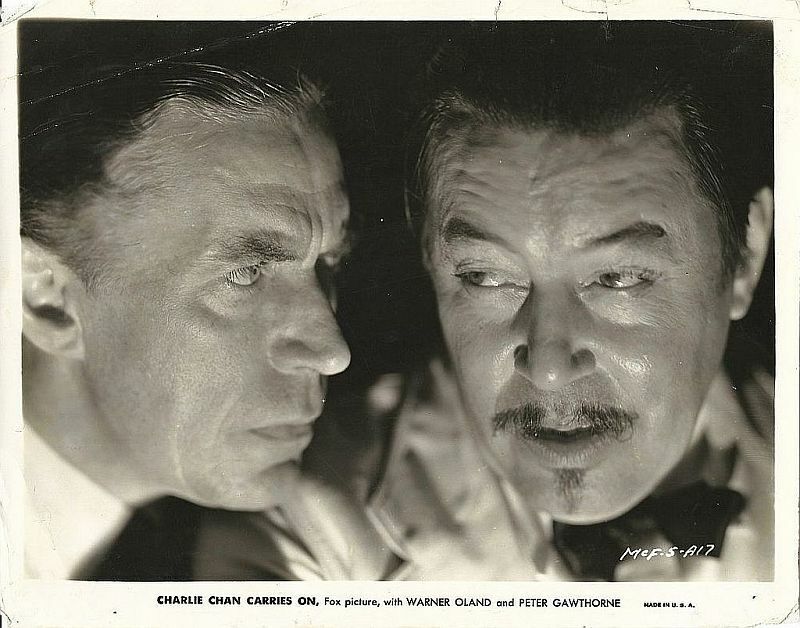 Charlie Chan and Inspector Duff of Scotland Yard. 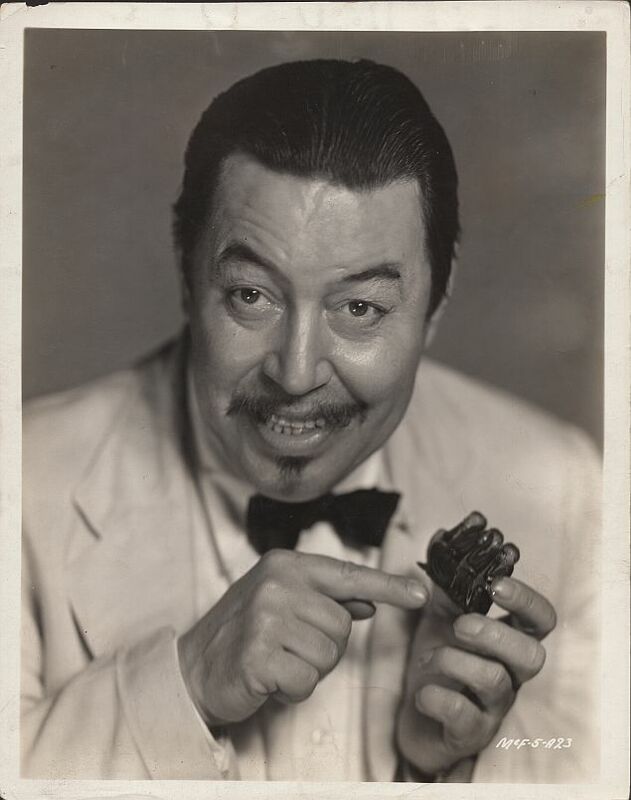 Charlie Chan holds the Three Monkeys clue. 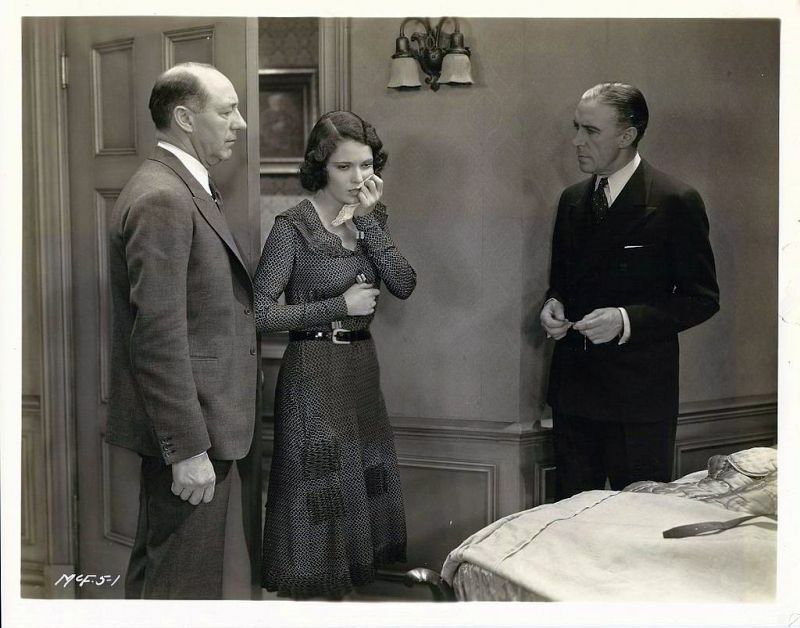 In a London hotel, Pamela Potter identifies the body of the late Hugh Morris Drake, her uncle. 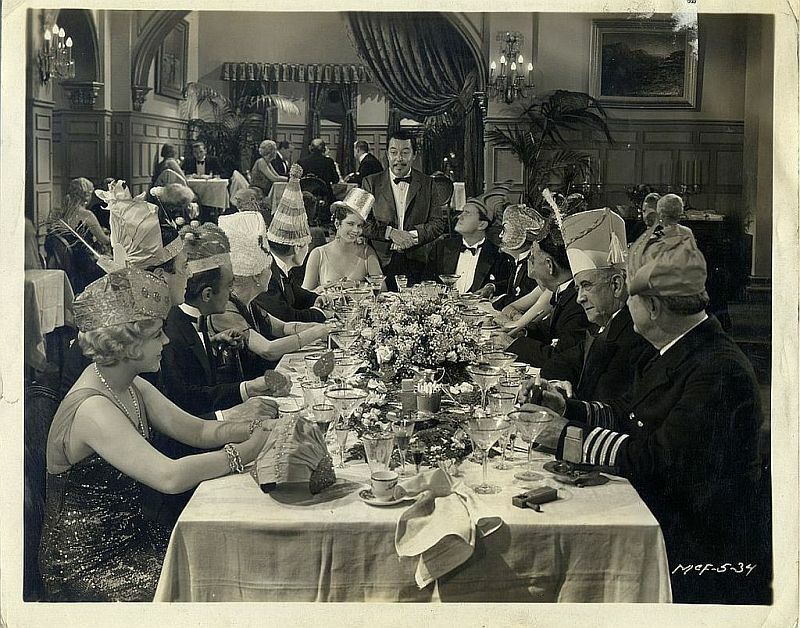 Drake, a wealthy member of the Dr. Lofton's round the world tour. Pamela Potter and Mark Kennaway. 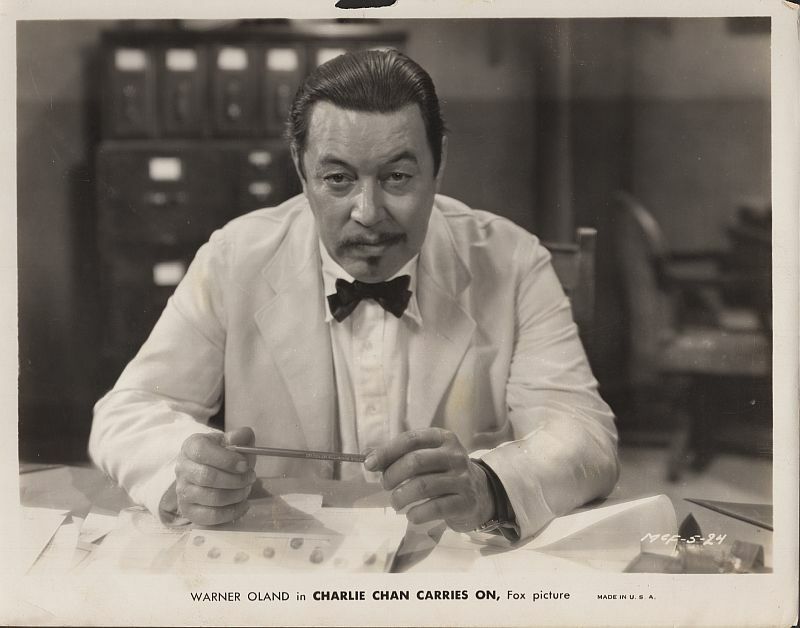 Charlie Chan at his desk in his office at the Honolulu Police Department. 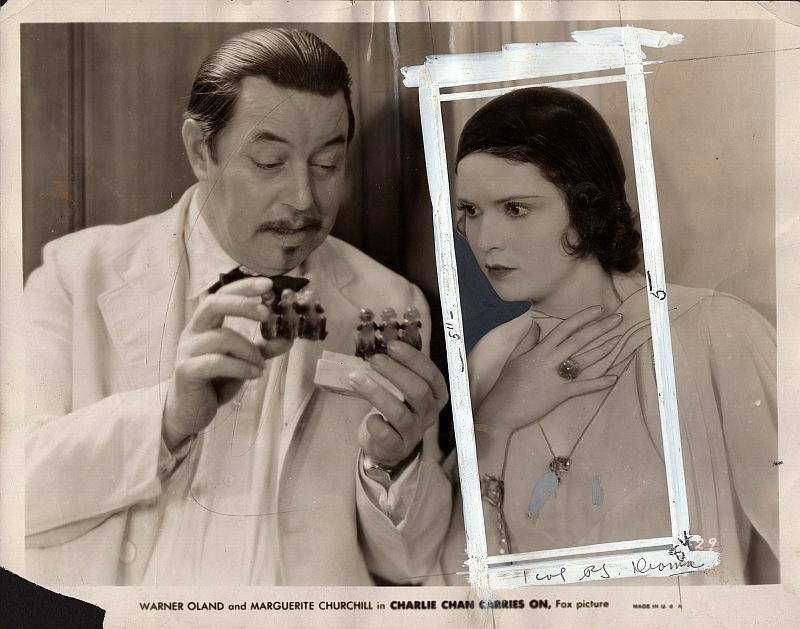 Charlie Chan shows Pamela Potter two identical Wise Monkey clues that have turned up. 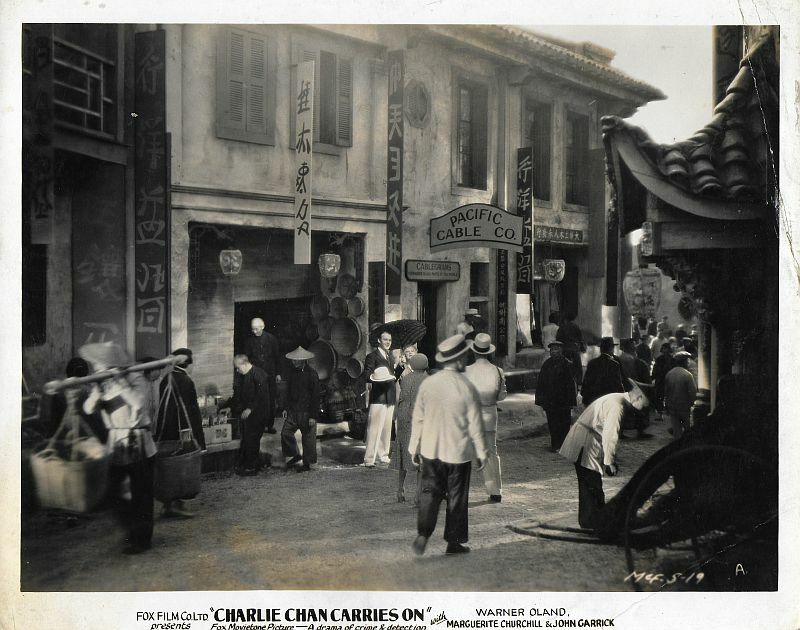 As the President Arthur nears San Francisco, Charlie Chan speaks at the party thrown by Max and Sadie Minchin. Members of the Lofton tour group, along with Charlie Chan, prepare to board the President Arthur, departing for San Francisco. 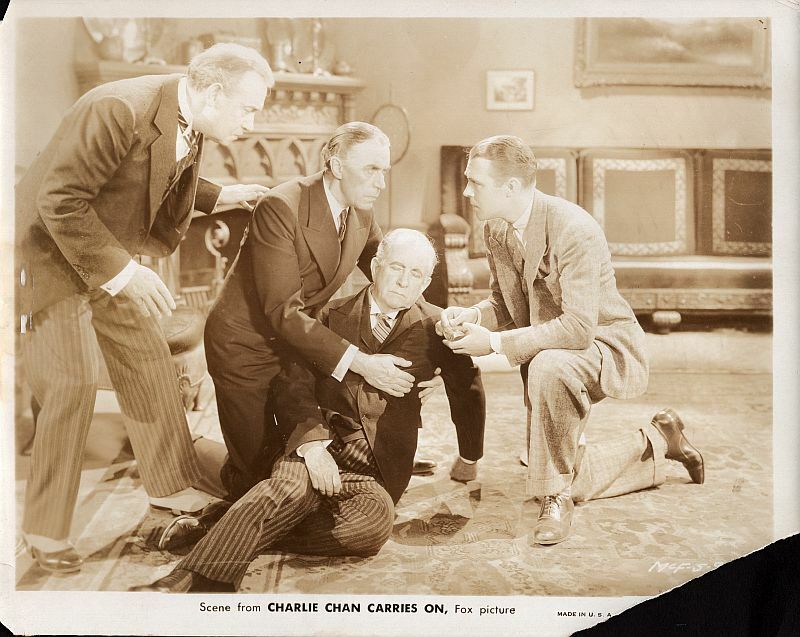 Charlie Chan has a cordial meeting with Mark Kennaway and Pamela Potter. 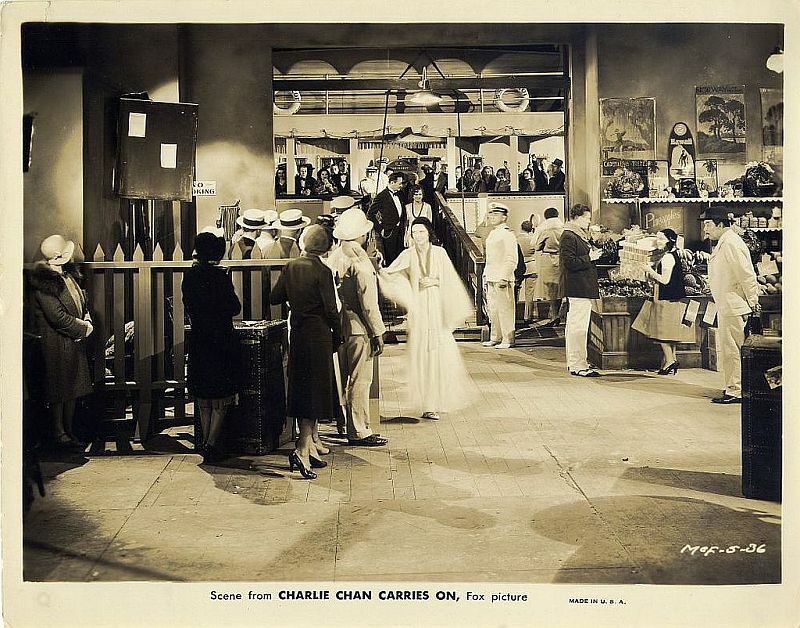 a shop with Mr. Benbow taking motion pictures. 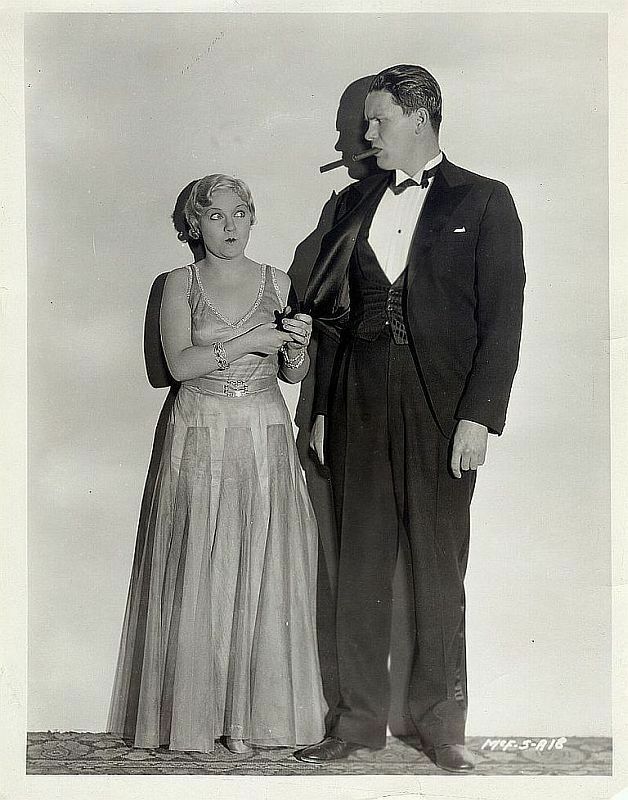 Mrs. Benbow stands beside him.